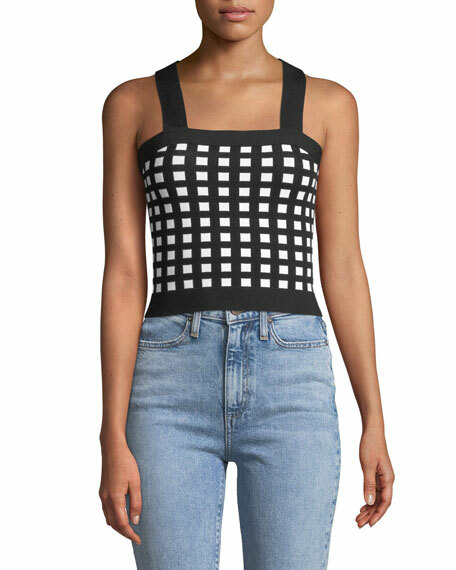 Derek Lam 10 Crosby knitted top in check. 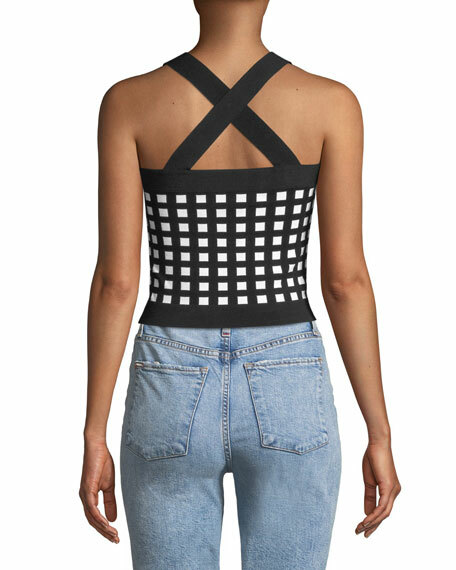 Sleeveless; straps cross at back. 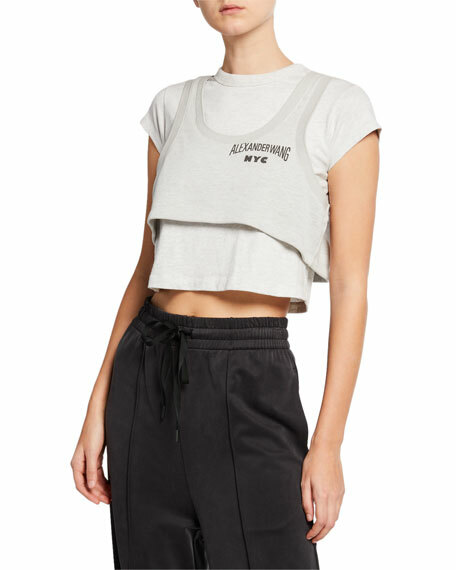 T by Alexander Wang layered top with chest logo detail. Crew neckline. Short sleeves. Relaxed fit. Cropped hem. Slipover style. Cotton/polyester. Cotton/polyester/spandex rib. Combo, cotton. Machine wash. Imported. 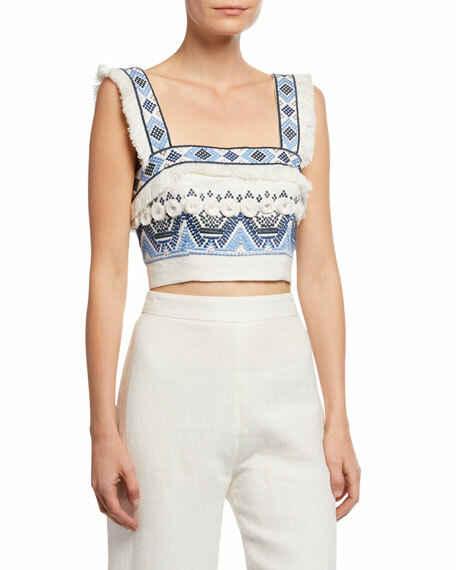 Alexis "Liddy" top with metallic embroidered tapestry motif. Square neckline. Sleeveless. Semi-fitted. Cropped hem. Back zip closure. Linen/cotton; trim, polyester/metallic. Cotton lining. Imported. Exclusively ours. 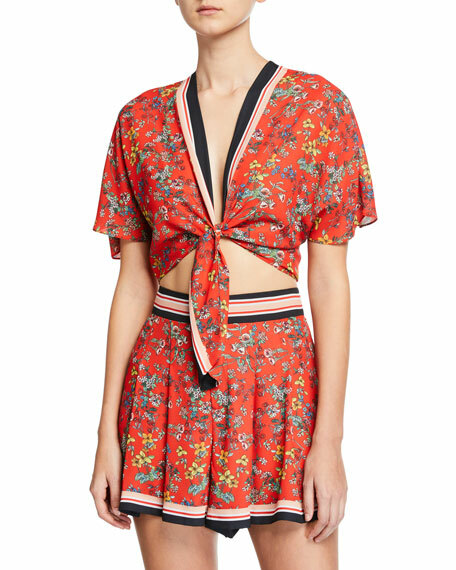 Alice + Olivia "Lydia" top in floral-print with striped panel. V neckline. Short sleeves. Self-tie front closure. Cropped hem. Polyester. Imported. 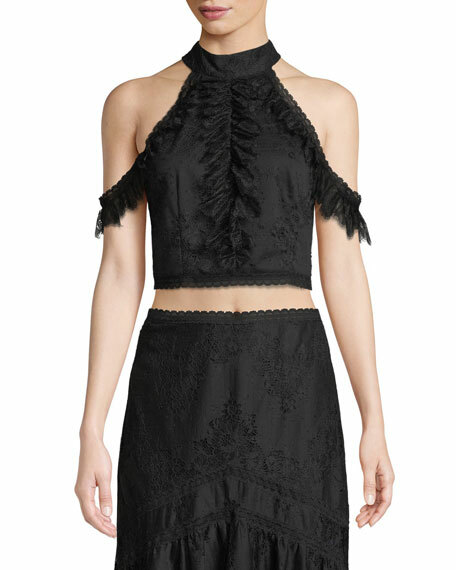 Alice + Olivia "Regina" top in lace. High neckline. Short flutter sleeves. Cold shoulders. Slim silhouette. Cropped hem. Back zip. Nylon/cotton; lining, polyester/spandex. Imported.